You are here: Home / Government / News / City News / Public Works Day is May 25! Public Works Day is May 25! The week of May 20th through May 26th is National Public Works Week as declared by the American Public Works Association. Kingsport Public Works professionals will be on hand on Friday, May 25th, for the popular Public Works Day event. The event is from 10:00 a.m. to 2:00 p.m. at the Farmers Market Pavilion, with equipment displays, kid-friendly activities and other information as well as several presentations explaining essential daily operations. City Public Works professionals will demonstrate the work of those who plan, manage, and maintain the city’s essential infrastructure, including water, sewer and transportation networks. Other Public Works group members also will detail the city’s efforts in solid waste collection and disposal, as well as maintenance of public buildings and grounds. Lunch will also be provided for all those who attend! If you have any questions, please contact Sheila Catron with the City of Kingsport Public Works Department at 423-229-9470 or sheilacatron@kingsporttn.gov. 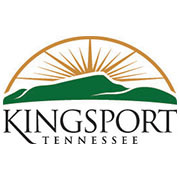 For more information, please visit www.kingsporttn.gov. https://www.kingsporttn.gov/wp-content/uploads/K-180x180.jpg 180 180 adrienne https://www.kingsporttn.gov/wp-content/uploads/logo-1.png adrienne2018-05-18 08:34:292018-05-18 08:34:29Public Works Day is May 25!